SALE! Now $350, originally $795. 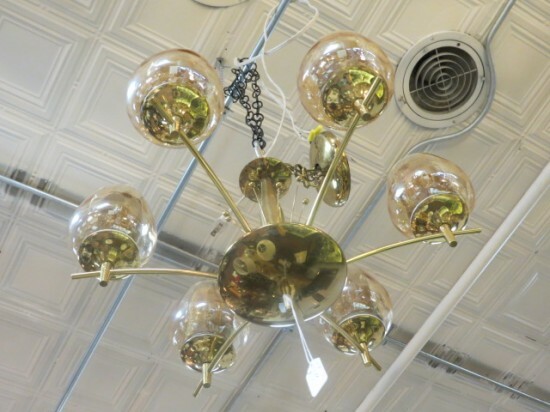 Vintage mid century modern 6 light brass & glass chandelier, circa 1960. 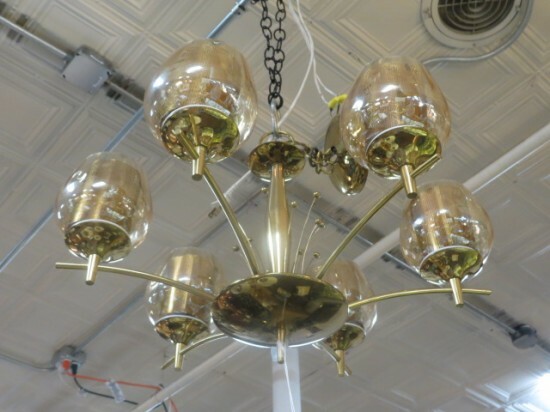 Perforated brass cylinders around each light, which is then set into a glass bowl. 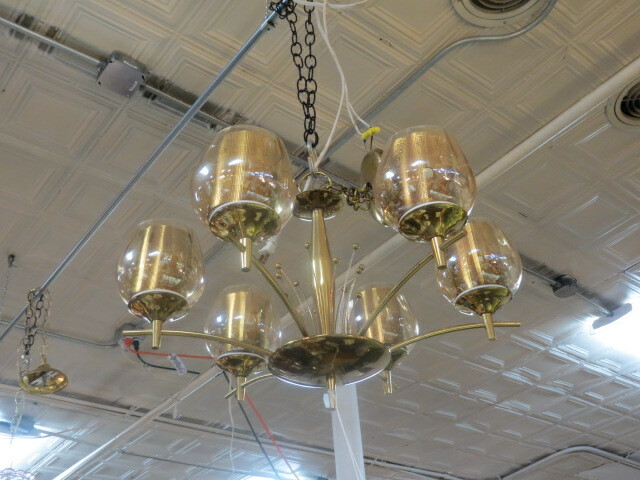 Delicate brass arms & center pole with small brass decorative pieces around it. Perfect for your dining room. Excellent condition. Measures 12” tall and 21“ across.